The plight of the South island kokako – extinction by arm-chair? This month for once I want to get as far away as possible from local city issues – and travel to the remote deep forests of the west coast of the South Island, where the South Island kokako has long been considered to be extinct – suffering the same fate of its cousin the huia, that most remarkable and beautiful of birds. Hunted for the price of its beautiful feathers (previously the preserve of high chiefs) by both pakeha and Maori, the last official sighting of the huia was in 1907. The huia belonged to New Zealand’s ancient family of wattlebirds (Callaediae) as does the kokako. The North Island kokako – was highly endangered (in the 80s I used to have a ‘Save the kokako’ sticker on the rear window of my car), but is now on the road to recovery. Late last year, like a lot of other bird lovers I was thrilled to hear that a sighting of the South Island kokako had been officially accepted by the prestigious ‘Records Appraisal Committee’ of the Ornithological Society of NZ. I will quote from the December issue of its journal Notornis. One seen among red beech/rimu forest at Rainy Creek, Upper Inangahua Valley, Reefton, on 21 & 22 Mar 2007. On 21 March 2007 at 0945 hours Len Turner heard a call he described as a haunting resonating call (“an eerie call like an Aboriginal wailing”) that he had not heard before. About 15 minutes later he saw at close range (10-15 metres) an unusual bird with the following description. The plumage of the bird was steely grey with a bluish tinge. Most distinct were the wattles on the sides of its bill. The base of the wattles was a deep matt blue and the remainder (the larger part) ochre (“fleshy orange-brown”). The bird appeared to be curious, looking at Len, turning its head from side to side. He viewed the bird for about 30 seconds then it glided away with some heavy dull wing flapping. Len noted the rounded edge of the wings in flight, and described the flight as clumsy. This was stunning news but after my initial euphoria I realised that this sighting actually took place in March 2007 – nearly seven years ago. My question is, how has the Department of Conservation responded to this information? Given the number of previously inconclusive sightings of this bird, should there not be a contingency plan for circumstances like this that the director-general of Conservation could pull out of his filing cabinet? One would imagine an emergency panel of scientists and expert field workers would then be convened to decide on the details of intervention with emergency conservation measures. Kokako are not strong fliers and are normally long-lived. So if this bird, or birds, managed to survive the pests that infest our forests it should be still in the area where it was seen. The answer seems to be that DOC which has suffered funding cuts and been obsessed for years with corporate restructuring, has done nothing. In fact from the reaction of its spokespeople, as one journalist remarked, one gets the impression that it almost hopes the South Island kokako is extinct. As one scientist suggested that this is type of apathy is tantamount to ‘killing the birds off from our armchairs.’ Let’s hope DOC’s new director-general who has a noted field conservation background can make a difference here. 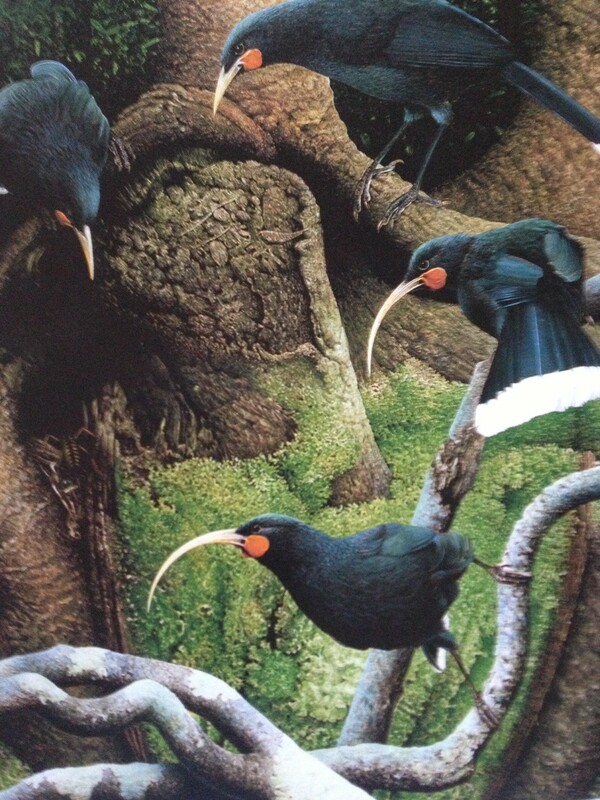 The extinction of the huia remains a dark stain on the history of this nation – though the government officials at the time, unlike today, had meagre scientific knowledge to go on, their efforts to save the huia over a 100 years ago were bumbling, inept – and too late. The South Island kokako, should it still exist, is part of New Zealand’s and the world’s priceless natural heritage – we are all responsible for its survival. The tragic fate of the huia should not be allowed to be repeated on our watch. As published in Ponsonby News (March 2014 edition).